Hi guys :) The past few days have been exhausting... Well, it's 1.23AM right now(dated 18th) and I'm sitting next to Fai working on this post while he works on his own stuffs. Things are better now, of course we can’t expect things to be perfect overnight but at least it’s better :) Thank you all for your kind words and support. I may not have replied you all yet but give me some time and I definitely will. Once again, we all make mistakes but what I’ve learnt from a couple of my friends through this situation is that, we have to face our mistakes, get over it, learn from it and move on. No matter the location of every GC Weekend, the main objective is simply just to come together, hang out and know more about each other so that we can all foster a closer bond with not just the company alone, but with clients, friends and family too. It's a great idea because that's basically how all of us bloggers became closer than ever which resulted in us calling GC our second family. Awwww! Standing beside a bunch of gorgeous and talented girls: Maybelline, Hayley and Shine! With Maggie, Gushcloud's very own SUPER CHIO mummy blogger. You won't believe she's a mother of three. How does she maintain such a great figure?! I wanna be a pretty mom like her in future too! Fai with Kayliss, Maggie's super adorable baby girl! Be jealous. I got to finally meet Munah and Hirzi properly! The first time I saw them in person was way back when I was still working at A&F. I remember Hirzi strutting across the walk way from the entrance to the store, and the shirtless greeter and I would be stun. HAHA. It was a breath of fresh air though. We really needed a good laugh cause work was just too boring. The second time I met them was after their Happy Ever Laughter show. It was so long ago, I don't expect them to remember me at all. But it was a pleasant surprise to know that Munah's an avid follower of mine on Instagram. Awwww! They're not just talented and humourous, but really down to earth and friendly too. With my favourite bunch of people. GC will never be as great if anyone of them ever leaves. There's always an after party! This time, we headed to Mixes From Mars at 83 Duxton Road (s) 089 540! They're a relatively new bar that has been making quite a scene and I've always wanted to try their cocktails out. Don't judge them just because they're held inside a hotel, they serve extremely delicious drinks. Fresh fruits!! I was so hungry that I ended up eating the grapes and strawberries while waiting for my drink! hehehe. And the bartender didn't even scold me at all! They're all such cool people. Hayden coming back to our table with the drink that got us all hooked to after. It's the flaming passion fruit cocktail! I am a fan of sour goodies and if you're just like me, you'll love this drink. It's light, refreshing, you'd hardly taste the alcohol in it, it's fruity and just perfect. We all loved it so much that the poor bartender had to make 15 at one go! They've got skills man. It was a really nice, super chill night. Some of us ended up partying but I was too tired, so I stayed behind at Mixes From Mars for a couple more drinks. Thank you Gushcloud for another amazing weekend! I LOVE LOVE LOVE this skirt!!! Lately, if you notice, I haven't been wearing much colours, no floral prints either. But when I saw this skirt, I just had to have it! It's floral motifs aren't exactly like the usual girly sort, if you know what I mean. This one's a little more sophisticated, and I love how feminine and graceful I felt wearing it. Received a lot of compliments about it so I highly recommend you guys to check it out too! Long is definitely the new short ;) Midi skirts are everywhere but I suppose that PeppyThread's one of the first to offer Midi Dresses! See what I mean by you can find really unique pieces at PeppyThread? I love this elegant and sophisticated dress. What's there not to like? And if you weren't able to lay your hands on one, fret not! Backorders are now available! Make sure you place your orders cause I'm sure you won't be able to find this anywhere else. Be a trend setter ;) Available in Black too! Can't get enough of PeppyThread? Follow them on their social media platforms to get first hand updates! 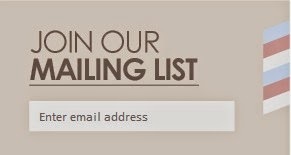 Don't forget to join their mailing list too! Quote "EUNICEA2OFF" to get $2 Off Total Purchase! This just highlights how little exposure the topic of psychological issues and mental health awareness bears in Singapore. This is what was wrong: you feigned a gunshot in the head with a toy gun, you were pretending to "kill yourself", such gesture is insulting and may be triggering to people with genuine severe psychological issues and actually struggle with suicide tendencies. You say you haven't come across such issues so you weren't aware, this may be hard to believe, but the fact is this: over ONE MILLION people die from suicide each year. It's one of the leading global causes of death people just don't like to talk about. It's a serious issue and it isn't right to imitate or make pretense/parody of it in any way. Put it this way, would you want to insult a cancer patient? Of course you wouldn't. But that was exactly what you (unintentionally I'm sure) did in that video. You say that it was just a joke, that is EXACTLY what was wrong. If it isn't right to make jokes about overweight people, or if it isn't right to joke about cancer patients or disabled people, I'd like to ask you Eunice, why do you think that making a joke about suicide is....okay? I'm not trying to attack you in any way, I don't believe you intended to disrespect anybody plus you took that video down so I appreciate that. I just hope that you understand why you received those comments.